The entire content of this blog has now been transferred (https://borisgiltburg.com/CMFA/) and I will from now on post new articles there. Many thanks for your support over the years! Hi everybody and a happy new year 2017! Please have a look, and if appropriate, could you kindly share this with your friends and acquaintances in Paris or France? Beethoven is not an easy composer for any instrument, and I remember struggling as a kid with his finger-breaking piano writing, with the seemingly stringent demands of articulation, pedalling, dynamics and tempo. Nonetheless, ever since I began to have some say about repertoire, I wanted to include Beethoven in every recital programme. I was driven by a kind of hunger, stubbornly, sometimes blindly trying to grasp the music, even when I felt that I couldn’t do it justice at the time. It was as if I, or my soul, needed that contact with Beethoven, that life-affirming, purifying charge contained in so much of his music. I cherished every minute I could spend with Op. 101 (‘Holy ground for every musical person’, wrote the great German critic Joachim Kaiser, and I agree unreservedly); I was thrilled before every performance of the Appassionata ; and I still remember beaming with elation when I could finally play the Emperor Concerto with orchestra for the first time. Then came the scary and exciting idea of recording a disc of Beethoven sonatas. 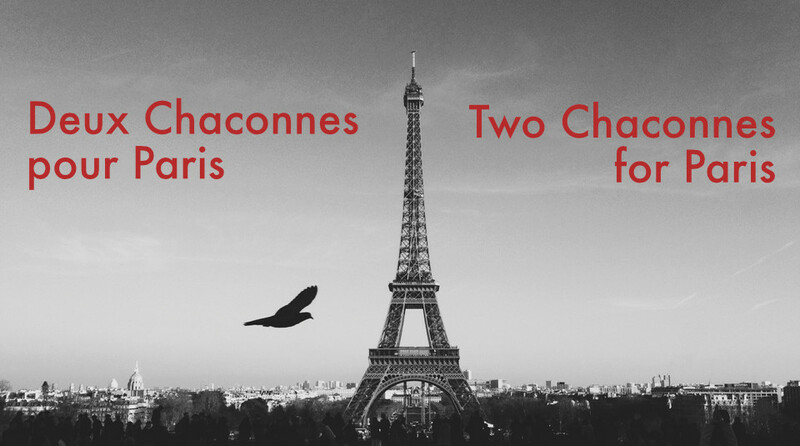 The selection snapped into place almost of its own accord: Pathétique , Waldstein and Op. 111, the last sonata Beethoven wrote for the piano. They corresponded to the three semi-official periods of Beethoven’s life and, moreover, were united by their keys: C minor, the emblematic Beethoven key, with its stormy, dramatic, relentless drive; and C major, ranging from blazing brilliance to all-encompassing depth in Beethoven’s hands. What incredible music! I rang Andrew Keener, my producer, in sheer excitement. ‘Oh, that’s brave!’ he said upon hearing the list – which cooled my enthusiasm for a little while. It soon sprang back again, though, and several months later, after an all-Beethoven run-in recital tour, we found ourselves in Wyastone Leys for the recording sessions. The recording process is in many ways one of crystallisation. The 100 per cent focus maintained for 11 hours a day makes you re-examine decisions which previously seemed obvious, or which would spontaneously occur during a live performance. Vagueness becomes intolerable, and while not everything needs to be spelt out, when things don’t work, you often can’t advance without pinpointing what is wrong and thinking how to fix it. The flow of the second movement of Op 111 was an example of this – usually establishing itself organically in concert, it stubbornly refused to happen on that day. After many tries we realised it was not the tempo, nor the phrasing, no metaphysical idea, but the pulse that was responsible: a tranquil, deep beat, flexible enough to allow the melody its freedom and yet completely unstoppable, like the flow of a great river, or a very slowly beating heart. During recording sessions, without audience, adrenaline is sometimes missing, so repeatedly trying to invoke the anxiety and near-despair in the outer movements of the Pathétique can bring you to the verge of despair (whereupon it finally translates to the music). 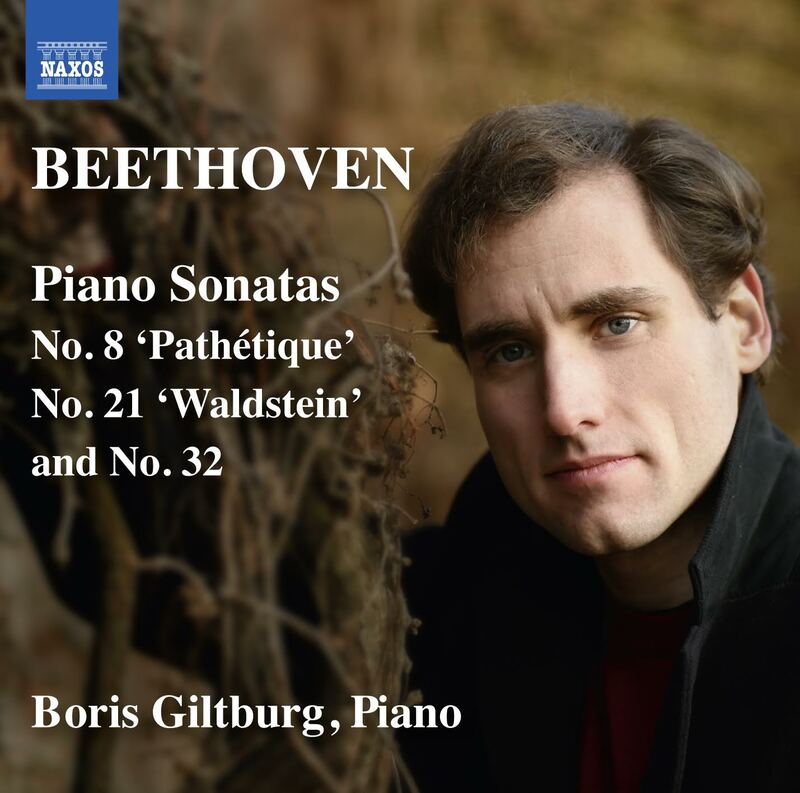 This environment, however, also allows you numerous attempts at the finale of Waldstein , trying to capture the true poetic beauty of the opening melody above the unhurried flow of semiquavers in the middle voice. Over three days in the recording studio, I had the growing realisation that whatever boundaries I had perceived in the music existed only in my imagination. The music allowed complete freedom, and the emotions that Beethoven was trying to convey were as visceral and immediate as anything we might feel today. They were not remotely dimmed over the course of two centuries, nor from belonging to a particular musical style, with whatever preconceptions we might impose on it. Looking back, my most potent memory from these sessions was the second movement of Op 111, with its breathtaking complexity and depth, its simultaneous intimacy and universality. There is a moment just before its end, after all farewells seem to have been said, when the music climbs up, reaching for the briefest of moments the high C. It is the highest note of the movement, the highest on Beethoven’s keyboard, and has not yet appeared even once in the movement. I never know whether to attribute importance, or indeed premeditation, to such statistics, but coming at the very end it seems to me to stand for something transcendent, which we, having made the arduous, transforming journey are capable of touching, but never of holding permanently. This, for me, symbolises the movement itself – its truths both profoundly (and alluringly) simple and tantalisingly elusive. I believe it can never be held or known – not really, not fully. One derives tremendous satisfaction from travelling the paths, particularly if at a certain performance, or indeed during a recording session, a small glimpse of these truths can be gained. Yet more always remains to be discovered: it is an endless quest; a life’s-worth of soul-enriching searching. Today I would like to talk about pianos. Not necessarily from a historic point of view (invented by Bartolomeo Christofori around 1700, attained its present shape and characteristics towards the later part of the 19th century), nor from the technical one (a complex mechanism of levers, rails, pins, wires and springs that transmits the pressing of a key onto the hammer, which is then thrown and hits a string), but rather from the personal one – to discuss the special bond between the pianist and the piano. Without a doubt, violinists have just as personal and special a bond with the violin they play on, and so do trumpeters, clarinetists or guitarists—but as opposed to them (and, indeed, to all other musicians, except for organists), the absolute majority of pianists do not play their own instrument onstage. The piano is not portable, it is cumbersome and costly to transport, and hence we have a kind of a status quo: the pianist practises at home on their piano, but performs at concert halls, each one with another, different, strange piano. A piano that belongs to the hall, and which, in most cases, we haven’t touched prior to setting foot at the hall that morning. The moment of the first encounter is worth describing. You enter the hall, looking forward to (or full of trepidation before) the encounter with a new and unknown piano (those of us who are optimistic hope for a good piano each time). The instrument stands in the middle of the stage, you approach it, remove your watch, empty your pockets of wallet and phone, sit down, adjust the piano bench… All the while somebody from the hall stands nearby, also expectant: while you may travel from one hall to another, and for you this is just one piano out of many, for them it is the only piano that matters, and they care, sometimes very much so, about the way you react and whether the piano pleases you. So, the promoter stands beside you, waiting politely, hopefully, expectantly, and you, fully aware of the importance of the moment, finally play something on the keyboard: a chord, a passage, a few bars from one of the works—and the piano immediately ceases being a generic and unknown something, a specimen of the grand pianos genus, and becomes the most concrete, tangible, real thing there is. This is the piano you are going to play on tonight, and your encounter has just begun. There are good and bad pianos. This might sound self-evident, but it is possibly the most basic fact in a pianist’s life. Both kinds are to be found in all sizes, manufactured by all piano firms, and at any price point. That is to say that a concert grand piano (2.70m or more) costing over £100,000 can be bad. Size both matters and does not matter. Smaller can be better than larger, but between two good pianos, the sound of the larger one will be richer (a function of the longer strings and larger soundboard). Sound volume and projection also change with size; a baby concert grand (1.50m) will struggle to fill a 2,000 seater hall. One can get used to any piano. Seriously. There are no exceptions to this rule, even when the instrument is terrible. The better a piano is, the less time is required, and vice versa. At the same time, a good piano is multi-layered; there is always something else to discover in its tone. A bad piano functions in what-you-see-(or rather hear)-is-what-you-get mode, producing the same sound even after hours of practice. One can practice on a piano to one’s heart’s content, and it’s certainly necessary and helpful, but if you want to really get to know a piano, there is no better way than playing a full concert on it, before a real audience. By the end of the concert, if not earlier, you will know the instrument; my word of honour.. It is perhaps important to mention another thing. When we see two identical objects, our natural assumption is that they are indeed identical, and if there is an element of function to those objects, we expect the two to function in the same way (we wouldn’t expect, let’s say, two cars of the same model to accelerate or brake differently). With pianos the situation is fundamentally different—they are unique, each one of them. The manufacturing process of a grand piano takes up to three years, and includes hundreds of processes, both active, such as construction and assembly, and passive, physical and chemical, the drying of layers of lacquer or glue, for example; also, adjustments, most of them hand-made, and each one of them affecting the final tone of the piano (here’s a website explaining the process in detail). So, in the end, two pianos of the same model, manufactured by the same company in the same year, will sound differently, even to an untrained ear. The contrast in sound between different models, or between pianos made in different years or from different companies will be even more apparent. This is to say that looking at the shiny and beautiful outward appearance of the piano is not of much help; it can conceal a superb or a very bad instrument. This trait—each piano being one-of-a-kind—guarantees a challenge, an interesting or a frustrating one, depending upon the circumstances. On one hand, there is a constant element of uncertainty, adding to the pressure and stress that accompany each concert. But this basic difference also has a positive side to it, as the pianist is involuntarily affected by the piano. We react to the tone we hear during the performance, we are forced to overcome certain technical difficulties while playing, but it goes beyond that: one could say that a good piano (like a good conversation partner) can offer new directions to our interpretations. Should we be flexible and spontaneous while playing, should we not force our will upon the instrument, but rather remain attentive to its tonal character and try to connect with it in an organic way, the piano will prove capable of taking us to lands far more distant and interesting than those we had foreseen or planned. Those lands would change from one piano to another: an instrument which possesses a warm, human tone will lead the performer to a very different place than one whose tone is transparent and crystalline. To return to our narrative: those first sounds which you had just played will give you an admittedly approximate, but usually quite accurate picture of the instrument’s sound. And you know right away, even before the brain has the time to process what it has heard. There is certainly room for adjustments and acclimatisation, both to the piano and to the acoustics in the hall, but I can’t recall a single instance in recent years in which the initial gut reaction was completely refuted later. Several hours of practising will yield an improvement of X percent in the sound you are able to draw out of the piano and will help you overcome the technical imperfections of the keyboard, but unfortunately no number of hours of practice will change a ‘don’t like’ into a ‘like’. Unfortunately, I say, as I would have loved the situation to be different. For if you think of it, we are completely at the mercy of the piano currently standing on the stage. It is our main ally for that night, and those short moments of initial playing reveal the character of our future brother-in-arms. A comfortable piano, one which feels as the natural continuation of one’s hand, can help a pianist who feels insecure to forget their worries during the performance and to become engrossed in the music and in the process of playing. And exactly so, a bad piano can heighten the feeling of insecurity, can treacherously ruin the pianist’s concentration (always at the most dangerous moment), and make even the best-prepared pianist trip and fall. This, just from the technical side of the equation; speaking of music, those first notes are a forecast, a sign of things to come—whether the piano’s sound will give inspiration, will invite the pianist to a profound performance full of poetry, or contrarily, whether it will thwart any attempts to make the keyboard sing, to transcend the lines of notes and to try and touch the listeners’ souls. These are, of course, extreme examples. Pianos that ‘make or break’ concerts are not ubiquitous. But the piano’s influence over the performance is very tangible, and just imagine how grand it would be if we were able to turn ’cooking pans’ (as one wryly calls unsalvageable instruments in Russian) into piano-masterpieces by sheer willpower and determination. Yet the only possibility to affect significantly the tonal character of a piano is meticulous work done by a highly-qualified technician; work which takes hours if not days, and this is rarely possible under normal circumstances. Mostly, what stands on the stage is all there is, and this is the main reason why an initial ‘like’ is so gladdening, and a ‘don’t like’ is so unfortunate. But what is this ‘like’? I’ll try to describe my dream piano: it possesses a singing, translucent sound with a long decay, rich, varied, lacking any aggression (what is called a ‘banging sound’—this is 90% the responsibility of the pianist, but the piano contributes to it as well, as, if its natural sound is too open and shouting, it will be harder to control). Every note is perfectly formed, rounded and bell-like. It has as broad a dynamic range as possible between pianissimo and fortissimo, with many levels in-between. All the registers of the keyboard (bass, middle, top) are uniform in colour, and there are no weak or unclear areas; nor are there any overly bright or open ones. Mechanically, an utterly even keyboard (keys equally weighted), a touch neither too heavy nor too light, allowing full control over the sound. And all of this is combined and united—a whole larger than the sum of its parts; a piano with an intriguing and fascinating character, making each interaction with it a true experience and inviting you to go further afield and explore new ares and layers in the works that you are playing. I may have got slightly carried away. But a performance on such a piano can be unforgettable. From this you can infer the ‘don’t like’: a metallic or unclear sound, flat and unvaried, a narrow dynamic range, an uneven keyboard, lack of personality—you get the idea. A dull, characterless piano, “neither fish nor meat”, to quote another Russian saying, is included in this category too. You might well think that the demands are exaggerated, and how much of it will the audience hear anyway? This is both true and not true. The demands are high indeed, and each and every pianist has their own ‘bugs’. Some are especially sensitive to technical imperfections, some care about nothing beyond the beauty of the sound. Neither will every pianist be so demanding: the scale ranges from Sviatoslav Richter, who displayed almost complete indifference to the subject (though one can infer from his interviews that he was very well aware of the quality of the pianos he played on), and up to Gregory Sokolov, who is nearly infamous for the demands he poses of his pianos: demands which are fully justified, in my opinion, as Sokolov’s control of the keyboard is peerless in all what regards colours, nuances and separation of voices. The rest are located between these two poles, and in my opinion (which I cannot prove scientifically) we would find more pianists closer to Sokolov’s side of the scale, than to Richter’s. But if we regard this from a broader perspective, these demands are not so different from those posed by any artist or craftsman of the tools and materials with which they work: the painter the brush, paints and canvas (and the light); the cook the knives and ingredients from which to prepare the meal; the photographer the camera and lenses (and once again the light! ), and, if we go a bit further, the race-car driver the car they drive (which perhaps is not such a far-fetched comparison, as both cases concern the interaction of a single person with a single yet highly complex tool). The schema is similar: an artist, in whatever field, will obtain a fine result even when working with subpar materials and tools, but will achieve so much more when those are choice (on the other hand, no-one but a true master will be able to draw out the true potential of the very best materials and tools). Hence, perhaps, it is not surprising that most pianists tend to demand more rather than less from pianos. The answer to second part of that question—what of this will reach the audience’s ears?—might come as a surprise: quite a lot. Speaking with audience-members post-concert, I have found that the listeners were very much aware of the beauty of the piano’s sound: a singing vs. a harsh/metallic sound, as well as of its volume—whether one needs to strain oneself in order to hear clearly, or whether the sound carries and easily fills the hall. However, it seems that unless the piano is singularly good or bad, after a short while the listeners’ attention switches from the instrument to the interpretation, and from then on it’s all in the performers’ hands. An interesting question which is related to the subject, is how two different pianists would sound if ever they played on the same instrument. I once had a heated discussion with a lecturer (a musicologist, not a pianist himself) who maintained that the difference in the sounds of Horowitz and Rubinstein (click the links for a comparison) stemmed only from the differences in their pianos, and if one had only seated them behind the same instrument, they would have immediately sounded the same. At the time I could find no riposte (though I sensed this assertion was absurd), while today I would first of all refer him to a recording of any round of whichever piano competition: it is enough to hear two contestants playing on the same piano and the argument collapses immediately, as those are significant and easily audible differences. One could also compare recordings by the same pianist throughout various decades: to go on with the example of Horowitz and Rubinstein, we will find that there is much more resemblance between the sound of young Horowitz and that of mature Horowitz than between Horowitz and Rubinstein at any given point of time. In other words, each interpreter has their own specific sound which they try to reproduce on every piano they play on. Perhaps this is another way of judging the worth of an instrument: how easy it is to produce from it the sound the pianist desires. So where does this difference stem from? My opinion is that the ‘sound’ of pianist A or B is not a simple variable but a complex one which includes both the way a single sound is produced (where there are numerous options as well, such as which muscles take part—whether the fingers only, or the palm as well; the forearm, the upper arm or the entire arm from the shoulder, or even from the shoulder blades—how tense or relaxed those muscles are; which joints are employed as ‘shock absorbers’ to avoid a harsh sound, etc. ), but also the use of pedal, the way the voices are separated (such as the difference in sound strength between the melody and the accompaniment), the rubato or ‘stolen time’—the prolongation of certain notes at the expense of others to gain freedom of musical expression—and most probably many other variables, which can all be combined in countless variations and which we, the listeners, perceive as a single element, the sound of the player. Let us return one last time to our narrative: we have tried the piano, have had the first impressions, our heart rejoiced or fell in disappointment, and then practising begins. Without our noticing, a slow and interesting process of acclimatisation occurs: the aural and tactile equivalent of eyes adjusting with time to darkness. Our ears require time to get used to the specific way the sounds spreads in that hall, and our fingers need time to adjust to this specific keyboard. The body does it by itself, and it seems that nothing is required besides time and an unwillingness to give up, plus often reminding oneself of Piano Lore Point No. 3 (“one can get used to any piano”). Several hours pass, and suddenly—it is always the same: “wait a minute, how did this happen?”—the sound becomes fuller, deeper, you have more control over hues, the piano feels less and less as strange, uncharted territory. This is the time when the practice session is at its most productive: our growing acquaintance with the instrument spurs us to intensify our attempts, as we want to test our newly found control over the sound in many different parts of that night’s programme. Simultaneously, the intensive work accelerates the speed of getting used to the instrument. It doesn’t always happen, but when it does, it’s a virtuous circle; a good place to be. Whether we managed to fully adapt to the piano or not, the time comes, and we go onstage, take a bow, and sit behind the piano with a clear and focused knowing: this is for real. A few seconds of concentration, hands are raised onto the keyboard, the fingers play the first notes, and… wait, is it the same piano? Nearly always a small (or a big) surprise awaits us in those first notes: with the presence of the audience the acoustics in the hall has changed imperceptibly (or unrecognisably), and we need a bit of extra time (or half the concert) to re-adapt. This is the customary explanation; but it seems to me there is another element at work: the most intensive concentration during practice hours cannot compare with the standard concentration one maintains at a concert. For the duration of the live performance we simply hear things differently, as if our ears’ capability became augmented. The silence is different too: the silence of an empty hall is much weaker than the live, breathing silence of a hall filled with attentively listening people. I often feel that at that moment the connection to the outer world is severed, and we find ourselves in a kind of enclosed space and time, in which nothing exists beside the audience, the piano, the music and the player, all united by the silence. And then it should come as no surprise that the piano sounds different at first: we have been transported into a world of our own. What drives us during the daily practice sessions is the love we feel for the composers and the musical worlds they created in their works. Before a concert, our appreciation for the audience is added into the mix, as is our desire to share with the listeners the feeling of wonder, nearly of awe, which stems from the magical process of creating the music anew on the stage. And at the moment we begin to play it is the piano which is the centre of our existence. Imagine the silence just before the concert begins, out of which emerge the first notes of… Beethoven’s 4th concerto, with their softness and nobility, or the toll of funeral bells in the opening of Rachmaninov’s 2nd concerto, or the luminous, polished tones of the opening Aria from the Goldberg Variations, or any other piano composition, of which there is a myriad, and there you shall find our love for the instrument itself, for the enormous richness of sonorities hidden within it, a richness only limited by our imagination, a richness sometimes discovered at this very moment, on the stage, in the presence of the listeners. And there you shall find our love for the gentleness and the might which is in the piano, for the virtuoso brilliance and the beautiful cantilena that it can produce, for the feeling of the keys beneath your fingers, for its polyphony and the multi-layeredness. We finish the concert in full knowledge of all the secrets which the piano may have kept hidden previously: no corner remains unlit under the intensive spotlight of a live performance. If it was a good piano, we are left with a feeling of warmth and love, no longer directed towards some generic and abstract idea of ‘piano’, but rather to this very specific piano, the one that was a complete stranger to us not so long ago, and which we are now deeply and intimately acquainted with: the piano that shared with us the musical ups and downs of the previous two hours, the moments of musical elevation and also the blunders (and perhaps contributed to a few of them itself), that was an equal partner in all that had just now transpired onstage. And if we are due to leave on the following morning, heading to another town and another hall, in which there is also a new, different and unknown piano, then the feelings of warmth and love are tinged with sadness over the prompt farewell. So when you next hear me or any other pianist complain about the great challenge inherent to our profession (“there is a new piano to get used to every time”), don’t believe us, or, at least, take our words with a large grain of salt. It is hard to think of a work by the French composer Maurice Ravel that would surpass his Boléro in fame and renown. The piece, performed for the first time in 1928, became an immediate success – much to the surprise of Ravel, who regarded it with no little condescension, said it consisted wholly of “orchestral tissue without music” and was certain that orchestras would refuse to play it. The Boléro was the last link in a long chain of dance music composed by Ravel, some of it written for the ballet, some of it conceived as purely instrumental music – as stylized dances for the orchestra or for piano. Dances permeate his work, from the Menuet antique he composed when he was 20, and up to the beautifully melancholic slow waltz which forms the second movement of his Concerto in G, one of his last works. And within this group, among the menuets, rigaudons, forlanes and pavanes (which were all considered antiquated already in the 19th century) one also finds several waltzes, closer to Ravel’s lifetime: the aforementioned waltz from the Concerto in G, a string of Valses nobles et sentimentales for piano, written in 1911, and one other work, called simply La Valse – which is the subject matter of today’s article. This, therefore – the embodiment of elegance and suggested sensuality – was the music to which Ravel wished to write a tribute. 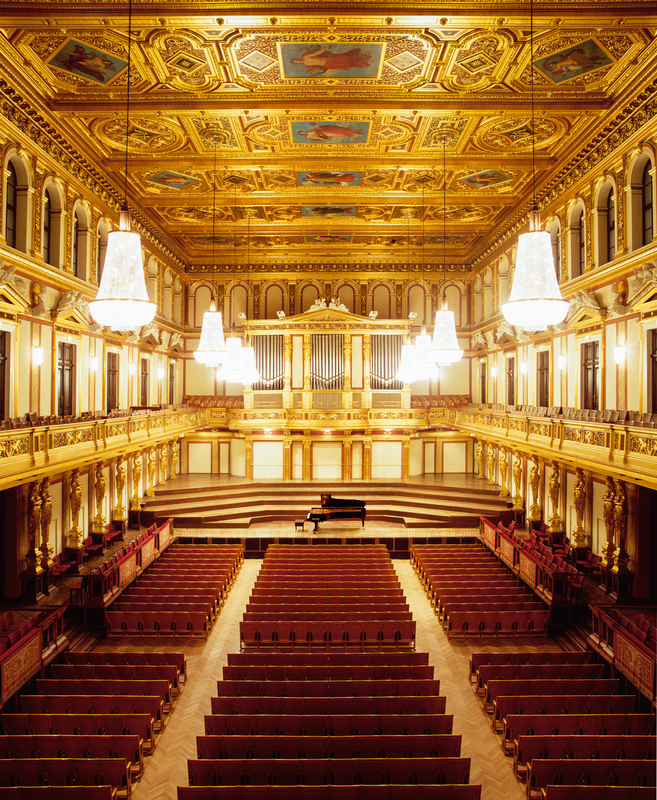 The composition he heard in his imagination and which he at first intended to call “Vienna” was to be “a kind of apotheosis of the Viennese waltz” and was mingled in his mind with the idea of a “fantastic and fatal whirling”. (The word fatal is somewhat bizarre in the context of the Viennese waltz, which is by its nature bright and devoid of care, and we’ll come back to it later). As those things happen, the work was only completed in 1920, fourteen years and one world war later. Ravel returned to his idea in 1919, prompted by a commission from Sergei Diaghilev, the famous impresario and the founder of the Ballets Russes in Paris, for whom Ravel had previously composed the music for the ballet Daphnis et Chloé (1909-1912). The title of the new work became La Valse (The Waltz) and Ravel worked on three versions simultaneously: a version for a large symphony orchestra, a version for piano solo and a version for two pianos. The latter was the one in which the work was first performed for Diaghelev, who promptly rejected it, saying the work was a masterpiece but only a “portrait of a ballet”, not a real ballet. His reaction put an end to the relationship between the two; when they met again several years later Ravel refused to shake Diaghelev’s hand, and Diaghelev, offended, challenged Ravel to a duel – which luckily never took place. That was their last encounter. The work begins with a muted, undefined hum in the double-basses; without measure, without beat. Out of this chaos, a few bars later, the main uniting element of the work emerges: the waltz rhythm (00:06); at first just two notes of the three, they are later joined by the third note (00:11), in a kind of unending hypnotic gesture. Finally, a fragment of a melody appears above these (00:14). It is interrupted (you will hear the flashes in the violins at 00:17 and 00:24), just a hint, a suggestion of a tune, of a melodic element. It returns at 00:29, more strongly present, and with it the clouds begin to disperse and other waltz melodies are revealed for a short time, before the endless whirling carries them away from us (at 00:48, 00:54, 01:01 and 01:08). Ravel wondrously manages to transmit the feeling of unclarity; his notes paint before us the clouds which obscure the scene and the proceedings. Everything is half-concealed, and we are left tense and alert, not knowing where the music will lead us. And then, at once, the mist is lifted, and the main melody appears before us (01:23) – the great hall filled with the whirling waltzing crowd. The epitome of elegance, of charm, of good taste. The harmonic key of the work is finally revealed as well: in the opening not only the rhythmic pulse and the melody but the harmony too was clouded and lacking a stable center – and here, together with the appearance of the main melody, the soft radiance of the D major, the work’s main key, emerges as well. The melody is long and continuous; three relaxed, refined sentences, with accompanying waves in the celli and bass clarinet. In the fourth sentence (01:57) the melody passes to the flute, and the whole section finishes with a typical Viennese waltz ending (02:02). Another melody appears (02:06), highly sensuous, accompanied by glissandi in the harps (those are the gentle metallic slides, going up and down along with the melody; you can hear them clearly at 02:04, just before the melody begins) and very soon the whirling grows faster (02:30), the brass and the percussion join in, and we reach the first culmination of the work (02:40) – this is the spot, where according to Ravel’s plan, the light of the chandeliers illuminates the grand hall. From this point and up to the last third of the work Ravel presents a string of Waltz melodies, one more beautiful than the other. They are elegant (02:49), graceful (03:23), slightly melancholic (04:56); stormy (03:57 and 05:12), worried (05:25), amorous (05:48), intimate (06:35), and some, at least for me, have nothing at all to do with Vienna but sound rather like a musical representation of Paris from the Belle Époque (04:26). As befits the spirit of the Viennese waltz, all of the above (except, perhaps, the one at 05:25) have neither care nor worry, and all the time in the world belongs to them. The last of these melodies, light-footed and sprightly (07:17) ends with a big crescendo (07:38) after which it suddenly plunges into the depths (07:42-07:44), and we return to the swirling clouds of the beginning. And from there it all goes downhill. The change comes so suddenly that at first we don’t even understand that it is upon us. We have seemingly returned to the beginning of the work, to the formless chaos, but the sense of the gradual brightening, the expectation of something magical, of a beautiful fairy-tale that would arise and unfold before our eye, is now replaced by an undefined anxiety, by a shadow of an unclear danger floating like a cloud on the horizon and disturbing the peace of mind of the dancers. Tiny changes in the harmony that are scattered between 07:44 and 08:24 – sometimes it’s just a single note which is lowered or raised by a semi-tone – as well as changes in the orchestration (the most salient of which comes at 08:12, a short melody which was played by the flutes and strings in the beginning, and is now taken over by the trumpet and muted horns: a far-away and slightly frightening sound) darken the harmonic surroundings and dim the brilliance of the chandeliers. Ravel, as a talented thriller movie director, doesn’t show us the danger directly, at least not yet. We perceive it only second-hand, through the reaction of the dancers. In those pages, which can in retrospect be viewed as the beginning of the end, Ravel presents no new musical material (except for a short, melody-less transition at 08:24). The beautiful, nonchalant, sensuous melodies that we heard before are all played again, one after another. But if before they were presented separately, each one leisurely occupying a section of its own, now they are quickly swapped, treading on each other’s feet (this comes to an extreme at 09:13, when two of melodies appear simultaneously), as if the dancing couples started sensing that the time which the world allocated to their dancing was measured and limited, and as it runs out, so their determination increases to go on with their dance. The mixing of melodies leads to a grand climax (09:30), after which the music calms down, apparently (09:42-09:50) and starts on one last ascent, as if out of a desperate attempt by the dancers to pretend everything was fine (09:57-10:14). But the threat has already penetrated the waltz itself, and is now growing out of the waltzing rhythm in a piercing chromatic line (10:25-10:35). This spurs the dancers to increase the tempo more and more and the waltz’s character becomes truly hysteric, that “fatal whirling” which Ravel saw in his imagination. Following this mad whirl we arrive at the climax of the entire work, the utmost point of breadth and volume (10:51), hammered out by the combined forces of the entire orchestra. Malevolent shrieks and whistles in the woodwinds and trumpets, beastly roars in the trombones and horns, collapsing blows in the timpani, tam-tam and cymbals – there is nothing human there, not a sliver of melody; this is the advent of mindless aggression, which has the sole aim of destroying everything on its path. And that’s it, our waltz – with all its melodies, so beautiful and elegant at first, so worried and determined later – goes under. The waves rise above the walls and cover the city, which disappears beneath the foaming waters. There’s nothing left here but one hysteric hastening towards the end, one last shriek – and as if ironically, in the last two bars, Ravel brings a typical, pompous waltz ending (12:21-12:22), as if to say: yes, but look, actually nothing’s happened, I simply scared you, it’s all fine, look, there, a waltz, all as we agreed. But I think this is an empty gesture, which fools no one, and I am quite sure that Ravel did not think it would fool anyone. The waltz and those who danced it are utterly defeated and destroyed. And who are those dancers, witnesses of the ruin of their dance and their world? What or who is La Valse about? Ravel placed the proceeding at the Imperial Court of Vienna, 1855, and if not for one certain thing we would have no reason to doubt that the music was related to a period of time 65 years into the past from the year of composition. This certain thing is the fact that La Valse in its final version was written in 1919-1920, immediately after the end of World War I. A war the like of which the world had never seen, and a war the horrors of which Ravel (who wanted to be a pilot and who was denied because of his age and state of health, and who in the end served as a truck driver along the Verdun front) had experienced both on himself and on his friends, many of whom perished in it. Moreover, we can assume that Ravel, like any great artist, did not exist in a vacuum, and could not remain indifferent facing the gigantic changes that the war brought about – changes, which we, perhaps a bit romantically, can call the end of the world as he knew it, or at least as the end of old Europe. This is, of course, nothing but conjecture. Ravel, by the way, denied this interpretation, and said there was nothing in the music which would connect it to the situation in Vienna at the time of composition. He admitted the work could be seen as tragic, but said this was true of any sentiment if taken to its extreme. He repeatedly pointed out the date specified in the composition’s programme, 1855, and suggested seeing in La Valse nothing but what the music expresses – “an ascending progression of sonority, to which the stage comes along to add light and movement”. This is to say – to see in it pure, abstract music, which speaks of nothing and expresses nothing beside itself. And with this open question I would like to finish: are the author’s words about her work are those that should dictate the way in which we experience it? Or is it so that once the work leaves the author’s hand, the author has no more control over it? Are we at all capable of experiencing a work as pure art without context? Will the fact that I presented to you the story of La Valse as I see and feel it affect the way in which you experience the performance? Do we desire a performer, in the most literal meaning of the word, one who stays true to the author’s instructions and performs them, or rather an interpret, one who would project herself, her personality, her views about the work, and presents to you a personal version of it?